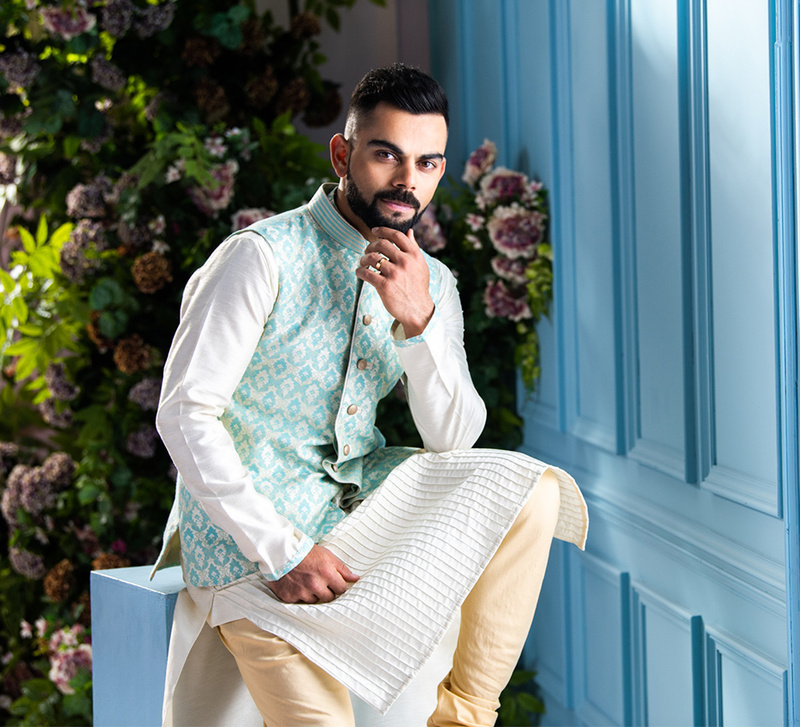 Don’t be fazed by all the new trends for brides - here’s how to put the ‘va va voom’ into the groom’s look on your big day. We know you’re just the absolute expert in speed shopping because you completed your entire wedding shopping in one day, from just one shop. If your bride was a bit horrified by it, she’s not telling. But it’s not that hard to look super snazzy with strategic style. And a little personalization will not only have you looking confident and suave but will ensure a breathtaking smile from her too! The safa may seem like a small part of your look but it can transform your personality. It’s regal, traditional and you can play around with different colors, materials or styles. Summing up the trends of this season, here are 12 ideas to tie the knot (literally) in the most stylish way! Flower power can create magic with your outfit. 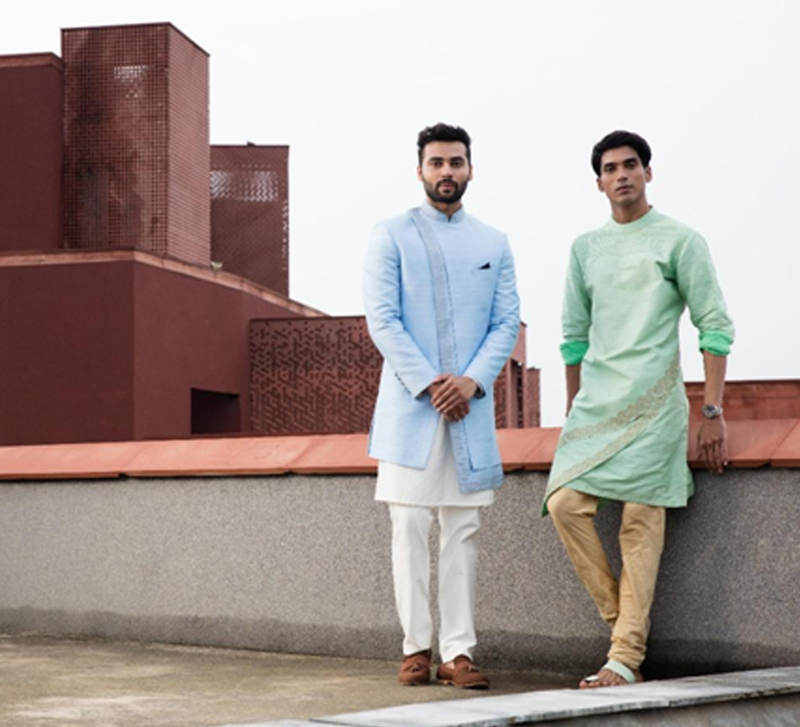 Floral Safas in pastels are a definite trend this season and work wonderfully with monochrome outfits (and your bride’s trousseau if she’s a fan of florals too). A little cultural appropriation can enhance your look from chic to exotic! This Omani headwrap spells masculine, noble, royalty. It’s also easy to wear and makes a statement. A prince in prints! Those quirky, versatile geometric prints aren’t just for your shirts anymore. Stand out like the unique groom you are and thank us later. This is something that travels right from Bollywood to Shaadiwood! Extremely stylish with an understated glossy finish that exudes such elegance and royalty! These tissue safas aren’t just easy to style but they will make an impact and promise a long stay as well! The pastel palette has been a steady favorite and with good reason. From sherwanis to mojaris, they complement most brides’ trousseaux and flatter Indian skin tones. So a pastel safa is a surefire charmer that will go well with anything, especially with printed or heavily embellished outfits. Bring a little boho to your traditional with bandhani safas that usually glam up creams and golds! They’re also gorgeously festive! Baraatis love these lehriya safas as much as they love the bandhanis. This style of tie-dye of Rajasthani origin spells wedding! If prints and flowers aren’t your things, throwback to when men wore some princely jewellery and know that delicately embellished brooches are the way to go! You’re looking for something that blurs the lines between understated and making a statement? Voila! Add a pop of color in saturated monotones and you’re good to go. Leave it to colors to turn heads your way! Preferably, pair these dashing safas with plain or monochrome outfits. It’s the sort of accessory that is timeless like your love. 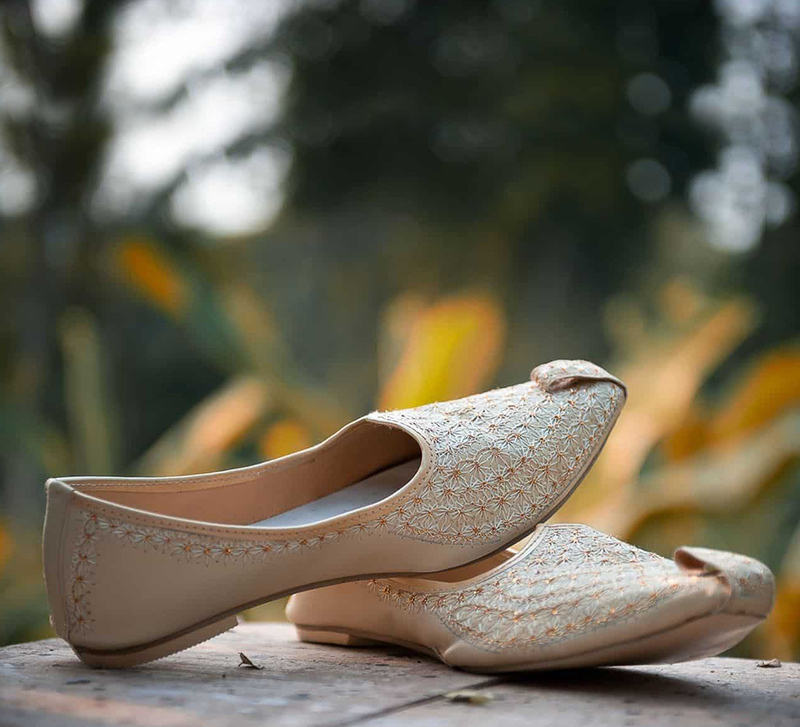 Some things will never change, your love for each other, and our love for these classic white or gold safas! 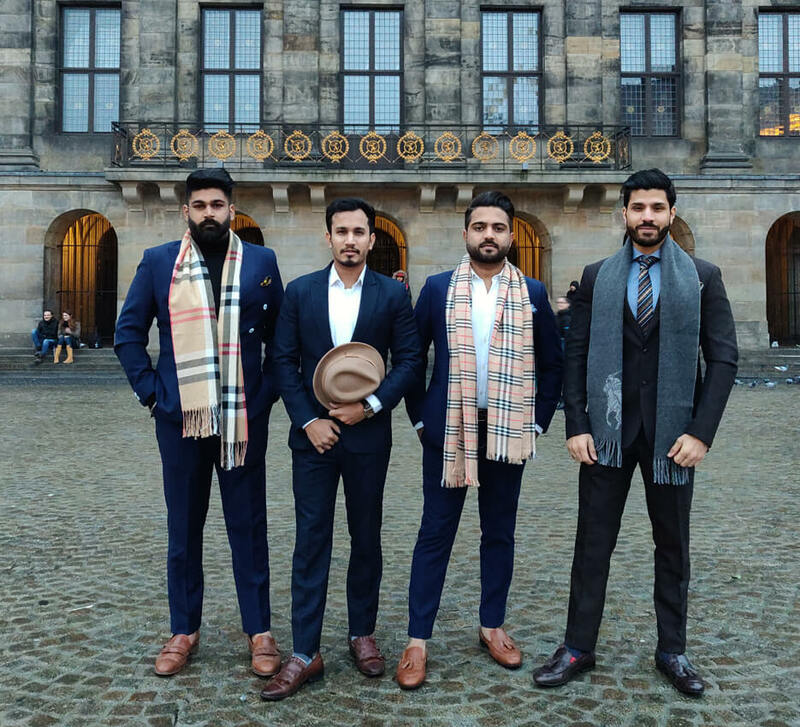 Like the groomsmen’s pocket square and ties that match the bridesmaids’ dresses, coordinating your safa with your bride’s outfit is a wonderful way to tell a color (and love) story! When picking from structure and style, remember, you want a safa that resonates with your personality and your look. Try them all for size. You’ll find the perfect one. And if this has whetted your appetite for more ideas and inspiration, check Grooms Fashion.